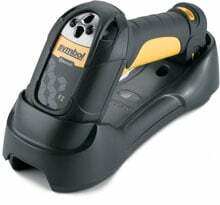 Symbol LS3578-FZ - RS-232 Kit, 1D Laser, Cordless, Fuzzy Logic. Includes Charging and Communications Cradle, RS-232 cable, Power supply, and Line Cord. The Symbol LS3578-FZ Bluetooth-enabled cordless, rugged scanner captures all one-dimensional (1D) barcodes - even when dirty, damaged or poorly printed. The Symbol LS3578-FZBR0100UR is also known as Symbol Technologies	SYM-LS3578FZBR0100UR	or LS3578FZBR0100UR	.